Have you heard of the rapper Nipsey Hussle before he was on the news for being curly murdered outside of his clothing store? Nipsey’s real name is Ermias Ashgedom, and he wasn’t only a rapper but he was a business man. Nipsey owned stores like, Fatburger restaurant, a barbershop, a seafood market and The Marathon Clothing, where he hired up and coming rappers so they can pay for their equipment for recording and pushing their songs out. 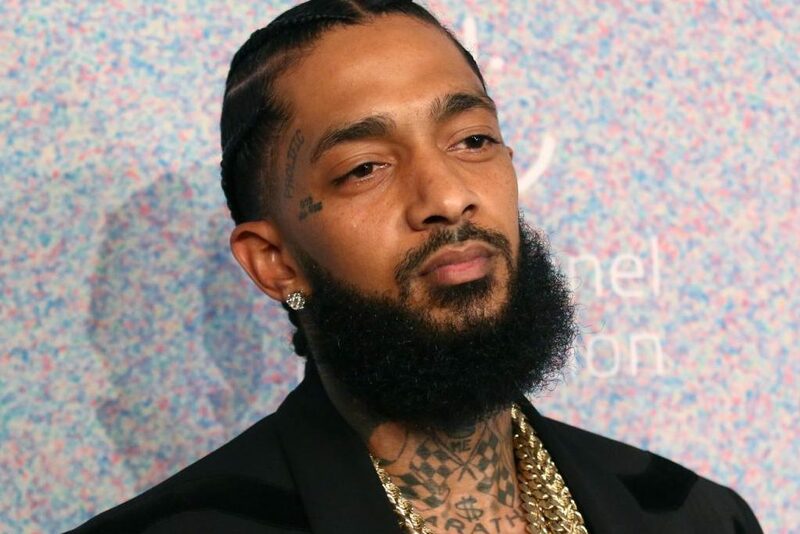 He also made an app to go with his clothing store and then nicknamed it the “Smart’ Store.” When asked why he doesn’t have all the blinging diamonds like all the other rappers do, Nipsey said, “I’d rather invest in some real estate.” Nipsey was focused on helping his neighborhood of South Los Angeles stay out of gang territory and become more peaceful instead of using violence all the time. You would think that helping your neighborhood wouldn’t make you any enemies, but in Nipsey’s case someone didn’t like that he was trying to change the neighborhood and this might’ve been his demise. 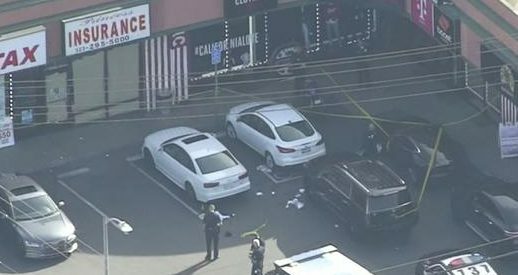 29-year-old Eric Holder was taken into custody after a witness spotted him in Bellflower, about 20 miles from the shooting scene, according to cbsnews. One of Nipsey’s last appearances in public via photo was in Anaheim, CA for the Texas Tech/Gonzaga game. Eric Holder is in a gang and he went to Hussle’s clothing store multiple times before shooting Nipsey in the head and torso. Nipsey’s death was a shock to all of his fans and all in his community. His girlfriend Lauren London of five years said, “I am completely lost. I’ve lost my best friend. My sanctuary. My protector. My soul. I’m lost without you. We are lost without you babe. I have no words,” But while the death of Nipsey was sudden and heartbreaking the community came together and helped police find the shooter. After the arrest of Eric Holder, the LAPD thanked the community for their “heightened awareness and vigilance.” The people in the community helped the LAPD by giving them valuable information about what the shooter looked like, what direction he went, what type of car he was driving, etc. Even with Nipsey Hussle’s passing, his legacy will still go on through his music that is already published, and by his actions and businesses that he owned. People looked up to Nipsey’s style and kindness that he gave to everyone, and how he taught so many to help others before yourself. He was selfless and helped people who wanted to start a rap career just like him, and he would give them jobs at his stores and teach them recording skills that he learned through the years. Many famous artists like Ice Cube, Rihanna, Pharrell Williams, Drake, etc. said a few words and reminded everyone that Nipsey was a great guy.